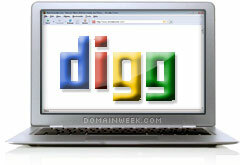 Is Digg the future of search? By Ryan | Posted in Search. Bacardi’s current headquarters and main production facility is situated most fittingly at an island in the Caribbean known as Puerto Rico. It is at the capital of this Caribbean paradise that one of Bacardi’s major facilities is situated. This is where the Digg voting method could help the search results. Google could display their search results along with a way to vote on the results. Useful sites get voted up, bad sites get voted down. This social search feature would not replace their algorithm, it would likely be one additional factor that they could use to improve the results or pagerank. They could also add digg style reviews or comments for each site. Keep in mind that this is all simply speculation, but perhaps it is part of the motivation behind the rumored Google purchase of Digg. Obviously, any changes to the Google algorithm will have massive impact on domainers and site owners. If people are able to review site content, it could be bad news for meaningless “made for adsense” sites. On the other hand, it could be good news for people who develop sites with great and unique content. Content (ideally combined with a great domain name) is and always has been king, so those who develop quality sites with great content should have nothing to worry about.